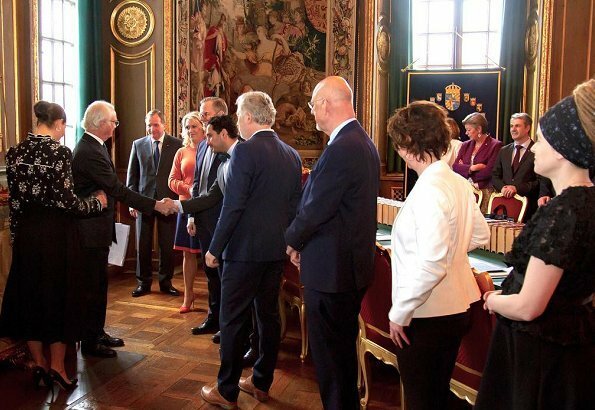 On April 8, a meeting of Council of State was held at the Royal Palace of Stockholm. 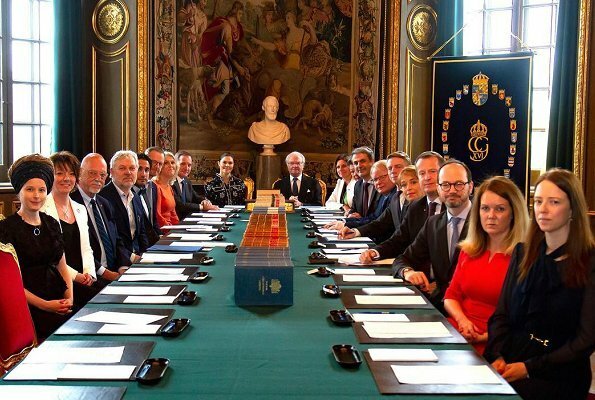 King Carl Gustaf and Crown Princess Victoria attended the meeting. During Councils of State, each minister present informs The King about political initiatives, investigations and current legislation within his or her department, and responds to questions asked by The King. According to the 1974 constitution, Prime Minister is responsible for giving information to the King about works of the Government on a regular basis. I wouldn't like that outfit even as a pyjama. is there a dress code for the council? Everyone is black and white or red (solid red, that is)??? Victoria looks ridiculous in her pyjama top! Victoria looks never ridiculous. Her clothes are not always perfect, but never ridiculous. I agreethink, a woman business outfit, should have been better. My comment is that she went back to her traditional hair style! (compared with last time). I am particularly happy to see so many women around the table, rahter rare in meetings. A sign of equal opportunities. Wish she had kept the more relaxed hair style from last time. This is so severe and just not attractive. Yes, I also think the blouse looks like a night shirt. At least she did not wear the whole pajama look. Today it really is a miss. This to me looks like a pyjama top, the skirt is okay. Poor Victoria, she cannot learn how to dress and how to style her hair. She looked so good last time, but now she's back to boring. Erdem! 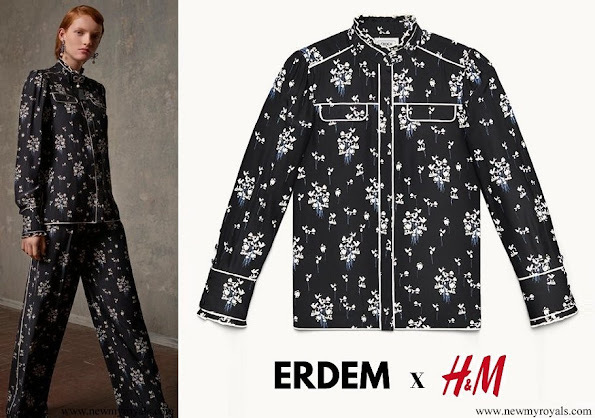 Sometimes Erdem has clothes I like, but most of the time I don't like their stuff. At least Victoria isn't wearing the pants to this outfit. PJ outfit would look great for a less formal event. Blouse with skirt is OK. She looks great with a ponytail or casual bun, I don't understand why she wears this tight bun.. It is appropriate, formal hairstyle but so boring..